The Nun's Church at Clonmacnoise is one of Irelands hidden gems. Located 300 metres east of the main complex at Clonmacnoise, it ranks amongst the finest examples of Hiberno-Romanesque architecture in Ireland. It was built under the patronage of the infamous Dearbhforgaill-Dervorgilla, the wife of Tighearnan O’Rourke the King of Breifne. 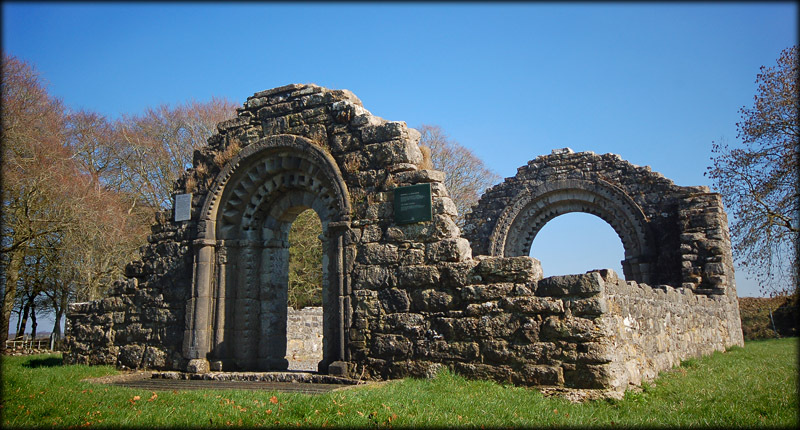 Dervorgilla was abducted by Dermot MacMurrough Kavanagh, one of the events that led to the Norman invasion of Ireland. The Nave and Chancel Church was completed in 1167 but fell into disrepair. Thankfully the beautiful Hibero-Romanesque chancel arch and Doorway were reconstructed in the mid 19th century. 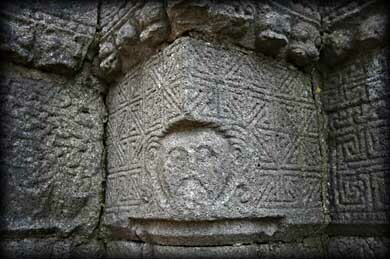 There are so many wonderful pieces of romanesque sculpture around the doorway and chancel arch. 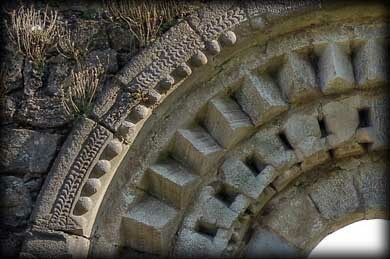 The doorway features fine pieces of beakhead ornament and geometric design. 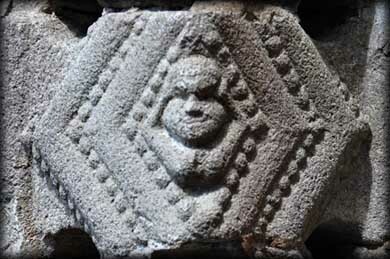 Another interesting feature to look out for is the female exhibitionist carving on a voussoir of the chancel arch. Many people believe this is a sheela-na gig. To the south in the same field is part of a wall belonging to an earlier church and also the foundation of another earlier church. We could have spent hours here just admiring the craftsmanship. 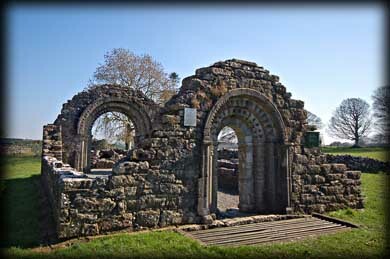 It is also possible to visit the Nuns church without visiting the main complex at Clonmacnoise. 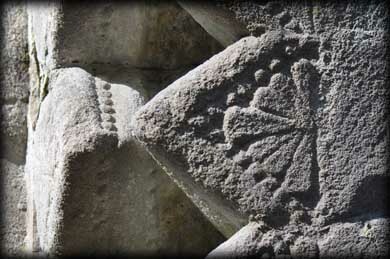 Situated: Very easy From the main site at Clonmacnoise head walk east along the pilgrims path. Then exit the site at the modern graveyard. The Church is in a field 300 metres down the road on your left. Discovery Map 47: N 0145 3090. Last visit Mar 2014.